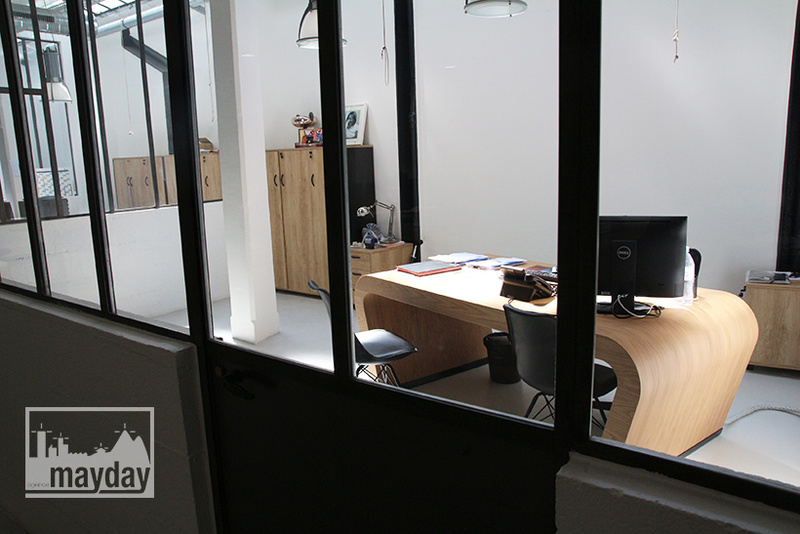 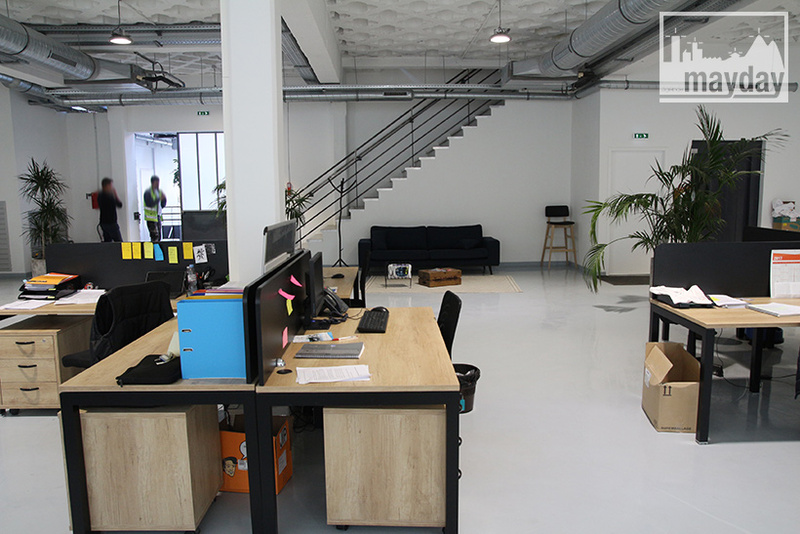 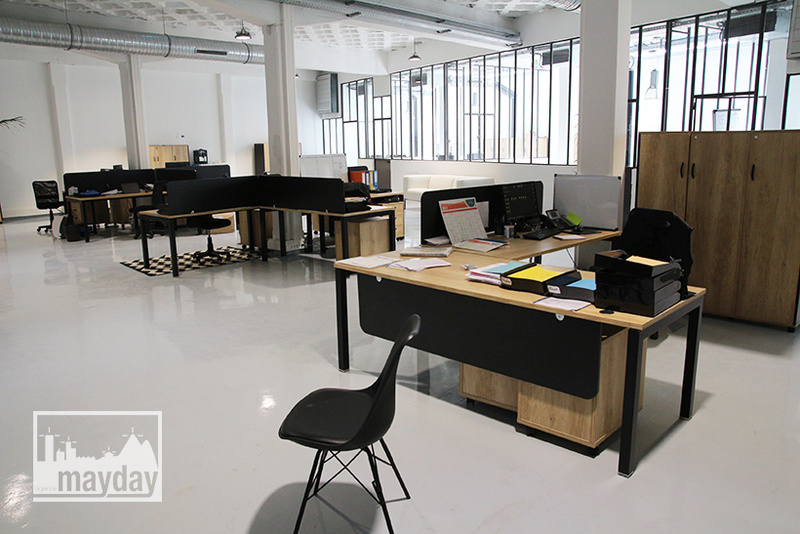 Modern loft like offices, Lyon (clav0300c) | Agence Mayday, scouting agency | Best location for your project concerning : feature films, TV, commercials, promos, photo shoot & events. 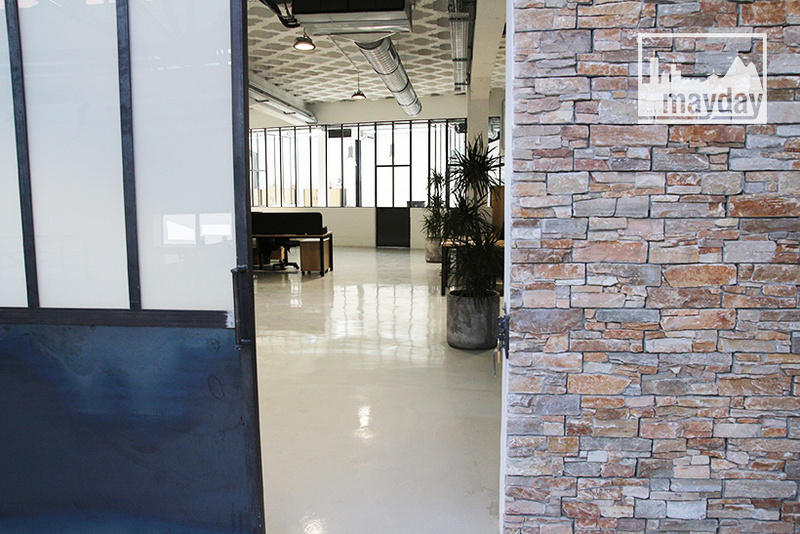 In a former warehouse, rent an office space with a modern loft spirit atmosphere. 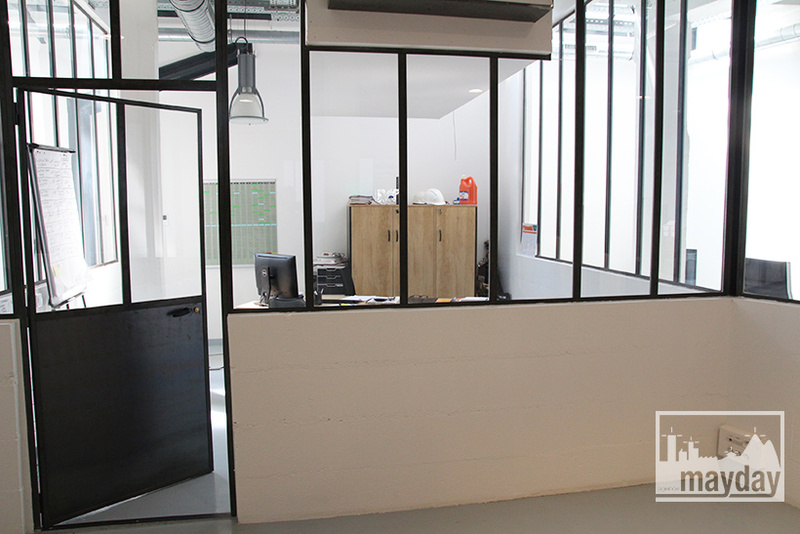 High ceilings (6m), skylights, design wood and iron furniture, concrete ground. 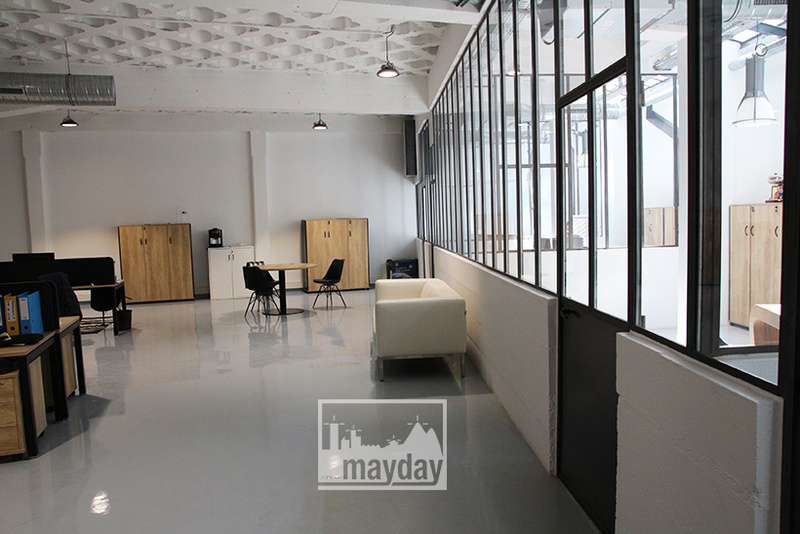 Open central space and several private meeting rooms.